I recently attended Kindiefest, an annual family music conference that took place in Brooklyn, NY. The conference sought to provide helpful information about the industry while showcasing some amazing talent. I am going to write a separate post that provides a little more detail about what went on at the conference but one thing I clearly remember hearing about is that collaboration can be extremely useful. One fine example of how collaboration can produce something pretty spectacular is the Underbirds. The Underbirds consists of Morgan Taylor from Gustafer Yellowgold and Todd McHatton, who not only has released some wonderful kindie albums of his own, but is also the creator of Marvy Monstone’s Mysterious Fun Time Dream Band, and the wildly popular single “I Think I’m a Bunny.” Together their music sounds like a mix of the Flaming Lips, the Beatles and a little bit o’ Queen. TheUnderbirds had their official world premiere live performance/release party at Symphony Space in New York City on Saturday, April 27, 2013 as part of Symphony Space’s Just Kidding series. I was more than lucky enough to catch it. Although it meant leaving the Kindiefest conference for a bit, it was an easy trade-off as these guys are at the top of our list when it comes to quality music and performances! Standing in front of a screen with projected images of the outdoors, Taylor and McHatton sang original songs from their self-titled debut, which were filled with warm, joyful harmonies that reflected upon the beauty of nature and companionship. The duo also premiered a few new songs and each played a single from their own kindie catalogue. Taylor sang one of our favorite Gustafer songs, “Wisconsin Poncho” and McHatton brought his daughter, Hazel, up for “I think I’m a Bunny.” Seeing her sing live was so fun. She’s a natural just like her Dad! It really was a treat for both grown-ups and kids. And for a world premiere performance, it didn’t take very long before everyone in the audience started to sing along. I’ve spoken of the wonderful sounds coming from these two highly talented kindie artists before, but seeing these two sing together in a live setting was a real gift. 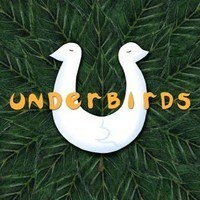 You can sample, download and purchase the Underbirds from CDBaby, Amazon and iTunes. Highly Recommended! View This: “High 5 Your Shadow” – Ratboy Jr. I still remember the first time I introduced my daughter to her shadow. It was on the swings and I told her that her shadow is swinging just as high as she is. She thought it was the most amazing thing and her shadow continues to be part of our pack today. 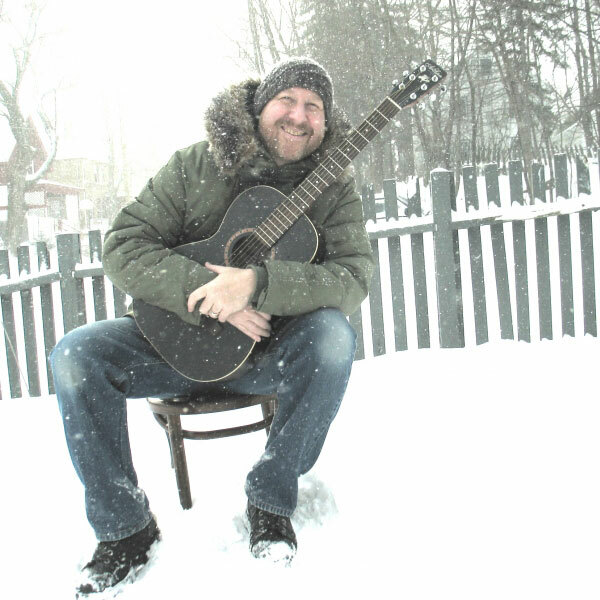 Tim Sutton, frontman for Ratboy Jr., was inspired in the same way when he wrote “High 5 Your Shadow.” Upon seeing his own son giving a high five to his shadow on the wall, the song was born. “High 5 Your Shadow” hits the nail on the head with the lyrics, “your shadow/ is your friend/ and your friends are friends with your shadow,” because whether it’s real friends or a wooden dog that my daughter pulls on a string, everyone has a shadow and we can all dance together. From their most recent release, Champions of the Universe, Ratboy Jr. presents the video for “High 5 Your Shadow,” which so accurately conveys the joys of shadow play. There’s even a little science wedged in their for extra credit. Check it out and then go find your shadow. Or make one of your own. 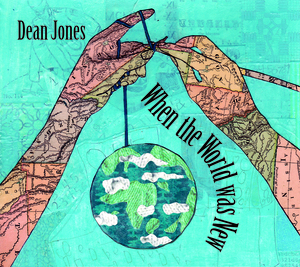 Dean Jones, multi talented kindie wonder man, is putting out his second children’s album on May 14th called When The World Was New. It’s going to be quite fantastic, although I wouldn’t expect any less from the recent Grammy winner (Dean won a 2012 Grammy for producing Can You Canoe? by The Okee Dokee Brothers). How do you not want to get all creative, slap a stamp on an envelope and boogie on down to the post office right this minute? Those lyrics are from the song “Turn Around” from Cat Doorman Songbook, the debut children’s album by Portland’s Julianna Bright (known as Cat Doorman in the kindie world). Between the eloquence with which Julianna Bright sings and the lyrics themselves, the song gives me chills every time I hear it. I am so pleased to present to you some videos of Julianna and her band performing songs off of Cat Doorman Songbook, which just received a Parents’ Choice Silver Honor Award. “Turn Around,” “Madame Claire” and “Whistling Song” are performed live from her living room and sound just as eloquent as they do on the record while Julianna delivers them ever so gracefully. Her band does a stellar job accompanying her as well. 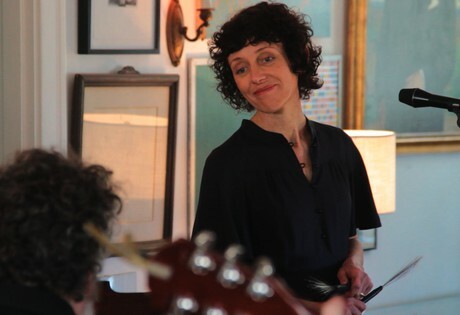 The videos were shot by Oregon Public Broadcasting as a feature in their Arts & Life section. If you have not yet taken a listen to the The Cat Doorman Songbook, I highly recommend it. The sounds and complexities of the songs provide an opportunity for children to connect with music on a deeper level with themes that relate to the earth, self-acceptence and love. For more information, check out my review of the album, as well as view another video for “Inspiration,” a haunting track inspired by the birth of Julianna’s daughter. Turn Around by Cat Doorman from Cat Doorman on Vimeo. Whistling Song by Cat Doorman from Cat Doorman on Vimeo. Madame Claire by Cat Doorman from Cat Doorman on Vimeo. 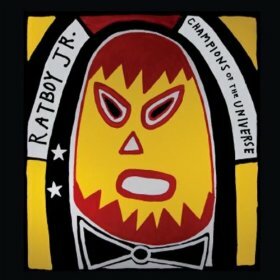 Check This Out: Champions Of The Universe – Ratboy Jr.
A name like Ratboy Jr. may not immediately make you think of children’s music, but make no mistake, this band is fantastic! 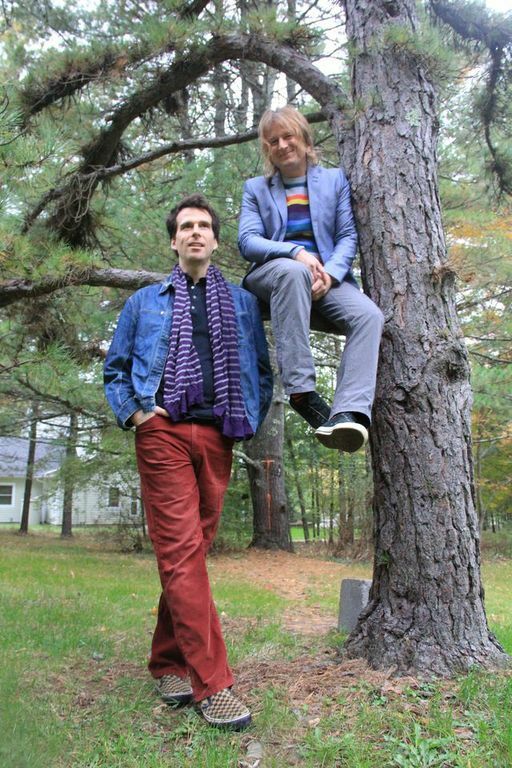 Based out of the musically rich Hudson Valley (home to the likes of Dog On Fleas, Gustafer Yellowgold, Elizabeth Mitchell and You Are My Flower, Uncle Rock, Story Laurie), Ratboy Jr. consists of longtime friends Tim Sutton and Matt Senzatimore. On their second album, Champions of the Universe, co-produced with neighbor and Grammy award-winning producer Dean Jones, the duo kicks it up a notch from their debut, Smorgasboard, with a more polished sound and a few musical guests (Dean Jones, Dog On Fleas, Jason Sarubbi, Shane Kirsch, as well as Sutton’s wife, Cat, and their son, Elliot). Champions of the Universe is a goodie bag of fun filled with clever lyrics, creative storytelling, entertaining rhymes and humorous riddles. Each song invites listeners on a journey to explore artful and abstract scenarios that aim to nurture a child’s imagination which, according to Sutton, “is where the magic happens.” As the mom of a 4 year old dressed as Supergirl for the past 12 days (“because I can fly and jump higher with my cape on, mom!”), I couldn’t agree more. The album opens with “Bill” an adventurous tale about a rock named Bill who goes against the grain. The lyrics have a nice way of expressing that it’s ok follow your own path and find what makes you happy: Bill was a rock with his own brain/ He just changed the game/ He did what he felt was right/ Other rocks knew he might/ He still slides down some hills/ But sometimes he slides up/ It’s a rock and roll lifestyle/ Bill the rock with a big old smile. I can’t help but think of Shel Silverstein’s “The Missing Piece” while listening to this song. Moving on, Champions continues with some thought-provoking songs that speak directly to the inquiring mind of a child. “How To Eat A Cloud” floats along on a gastronomic journey suggesting what certain clouds might taste like (“stormy ones are scary but they also taste like cherry.”) “Upside Down,” a folksy pop tune, sung from a child’s perspective, questions what would happen if the world were upside down, i.e. “Would the fish fall out of the sea?/ would my pockets always be empty?”. I love when Sutton intones his own rendition of Lionel Richie’s “Dancing on the Ceiling” for the song’s bridge. Other songs celebrate organic ways of play. “High 5 Your Shadow,” reminiscent of Weezer’s “Buddy Holly,” promotes the idea that your shadow can be a fascinating friend while “Who Needs A Toy” transforms found objects, such as boxes and sticks (with a cautionary “just make sure you don’t poke your eye out“), into swords and rocket ships. My daughter particularly enjoys the more interactive, quirkier songs like “Pretend Your Hand’s A Puppet,” which encourages movement, the Johnny Cash inspired “Guitar Pickin’ Chicken,” and “Backyard Camping,” an improvised camping extravaganza featuring some freestyle with members of Dog on Fleas. While many of the songs on Champions of the Universe fall towards the quirkier side of the fold, the ideas these guys come up with are by no means contrived. The topics contained within the album are thoughts that have either been inspired by parenthood (since their debut, Sutton has become a father), their own childhood memories or simply what they think would make for interesting listening. They stand behind their music and put a ton of charisma and energy into each song. Like They Might Be Giants, Ratboy Jr. has the ability to make an interesting mark in the kindie scene. In a word (or two): they belong. Champions of the Universe is available through all regular media outlets including Amazon, iTunes and CDBaby. 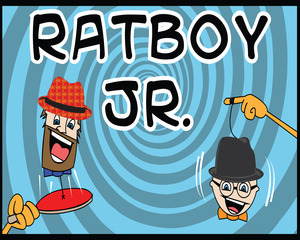 You can also hear samples from the album at Ratboy Jr.’s official site. The album is just over 40 minutes and will appeal most to ages 4-8. Below you can also view a video for “Guitar Pickin’ Chicken” and a video for “Worms” from Ratboy Jr.’s first album Smorgasboard, a Sesame Street inspired track that encourages love for those slimy, squirmy little friends that make rainy days more exciting. This video is perfect for little ones who feel it’s their job to get all the lost worms off the street and onto a nice patch of dirt they can call home.